Tokyo Station is a major commuter hub that draws throngs of people who visit every day just to admire the Marunouchi side’s century-old red-brick and stone facade or stay in its nostalgic hotel. After undergoing a 5½-year renovation, the historic landmark formally reopened on Oct. 1. 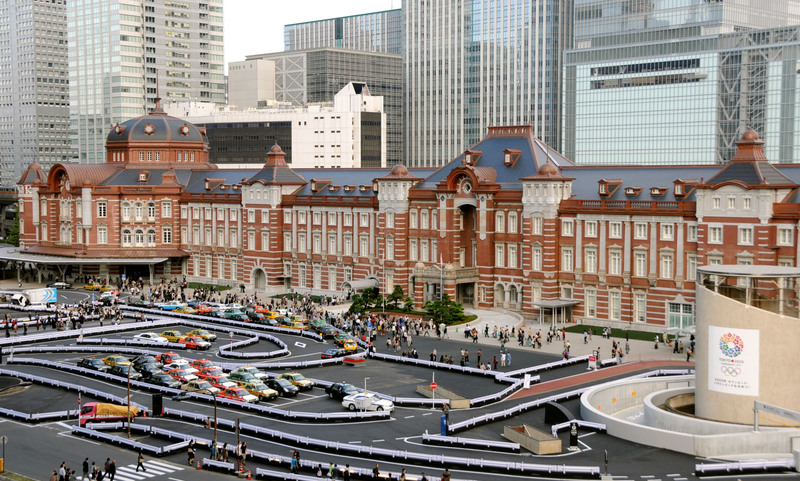 The Tokyo Station Marunouchi Building, stretching 335 meters parallel with the train platforms, originally opened in 1914 as a showcase for the nation’s ever-expanding rail system. The building suffered heavy destruction in World War II bombing raids and was briefly closed after the war for hasty repairs. The latest renovation has revived some of the original glory of the sprawling, domed structure, regarded as a central Tokyo architectural masterpiece that bore witness to key historic events over the past century. What major changes did the renovation bring about? The project restored the north- and south-end rotundas and also revived the building’s third floor. The original domed rotundas and the third floor were destroyed by fire and explosives in a May 1945 B-29 raid. The building was hastily repaired soon after the war to keep up with the surge in commuter rail operations, but the roof design was simplified and the gutted third floor, which needed reinforcement, was left unused due to budgetary constraints. The domed rotundas now retain their original look, including the octagonal ceilings with stone reliefs shaped after an eagle, a flower, a phoenix, a sword and animals of the Chinese zodiac. Another component of the renovation project that started in 2007 — the Tokyo Station Hotel — has also reopened. The hotel, which opened a year after the station did, has been the stuff of novels and essays by the likes of Nobel laureate Yasunari Kawabata, Ranpo Edogawa and Hyakken Uchida, a pupil of Soseki Natsume. How significant was the station when it was initially built in 1914? The nation’s rail operations started in 1872, with Shinbashi Station being the starting point for westbound traffic and Ueno Station handling northbound trains. The central government, however, wanted a more centralized hub for the former national railways that could connect the other terminals. 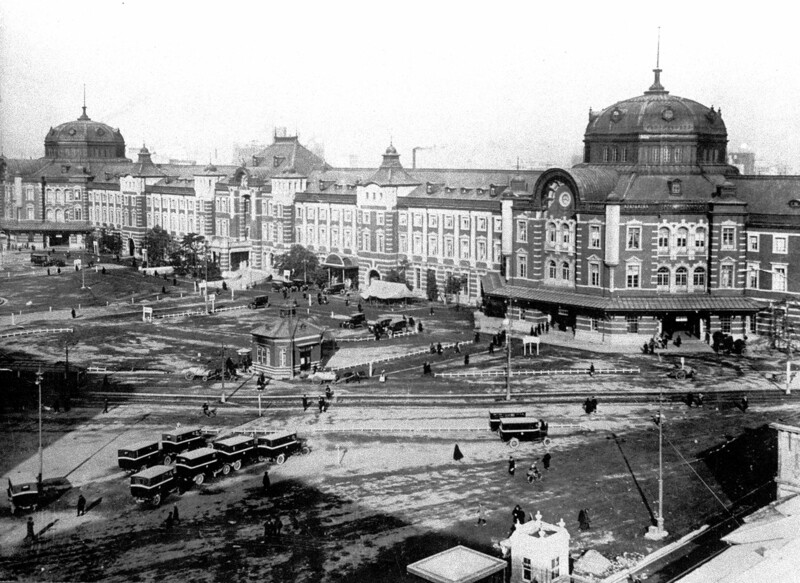 And thus Tokyo Station was born, and it represented a splendor that underscored its significance as the nation’s main station. The original Marunouchi structure was designed by Kingo Tatsuno, an acclaimed architect of the late 19th and early 20th century who designed many important structures, including the Bank of Japan headquarters in Tokyo and its Osaka and Kyoto branches, as well as the Manseibashi Station building, which is now closed. Some people liken the Tokyo Station Marunouchi Building to Amsterdam Central Station, but is this a fair comparison? Experts say the red-brick Marunouchi construction reflects more the Victorian style of Britain, whereas its Amsterdam counterpart was influenced by Renaissance and Gothic styles. Tatsuno was largely influenced by the Victorian style, having spent four years studying architecture in London in the late 19th century. 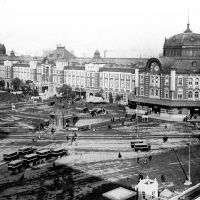 Tatsuno’s disciples meanwhile created Marunouchi-like spinoffs in the former Seoul Station building, built in 1925, and Shenyang Station building in northeastern China, circa 1910. Was the building originally used exclusively by the Imperial family? It is true there remains an entrance in the center of the Marunouchi side reserved for sole use by Imperial family members and state guests. But the building has been open to passengers since it opened in 1914. In the early days, however, normal passengers had to enter the station at the south entrance and leave through the north exit. The building also has a room for honored guests near the central entrance that is off-limits to the public. Every now and then, when new ambassadors take up their posts in Tokyo, they ride in a carriage from the central entrance to the Imperial Palace to greet the Emperor and Empress. Was the station able to survive the Great Kanto Earthquake in 1923? Yes, thanks to its solid brick and steel frame construction supported by 10,800 pillars in the foundation. The brick building suffered little damage in the 7.9-magnitude earthquake, and no passengers were injured or killed. The fires that broke out across Tokyo, however, saw many displaced people seek refuge at the station. Its building, platforms and freight cars briefly accommodated some 8,000 people, according to East Japan Railway Co. The newly renovated structure now boasts 352 underground seismic buffers and 158 oil dampers designed to mitigate earthquakes. “Otherwise, a large shock would hurt the Chuo Line next to the station building,” JR East spokesman Makoto Kawada said. Did any major historic incidents take place at the station? Two prime ministers were attacked at Tokyo Station. In 1921, Takashi (Kei) Hara was stabbed to death at the south entrance of the building when he was about to take a train to Kyoto. In 1930, a rightwing youth shot and seriously wounded Osachi Hamaguchi, 61, on a platform. It was a time of escalating fascism. The renovation plan was hatched in 1999, when Tokyo Gov. Shintaro Ishihara and then JR East President Masatake Matsuda agreed to restore the original Marunouchi structure. Something had to be done with the aging building, and discussions ranged from tearing down the original and replacing it with a new high-rise or reviving the past. 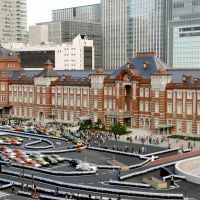 Two years later, the metropolitan government launched a planning panel to plot the development of both the Marunouchi and Yaesu districts on either side of the station. In 2002, metro authorities and JR East officially announced the development plan, Kawada said. In the following year, the brick station building was designated by the government as an important Cultural Property of Japan. Although the total cost of the renovation hit about ¥50 billion, JR East avoided a major financial burden by selling off space the station could potentially have used to build higher floors, to surrounding high-rises, Kawada said. “The cost was mostly offset by the money (raised by the sale),” he said. The potential station space — some 180,000 sq. meters — was sold to the operators of six buildings, including the Marunouchi Park Building, Shin Marunouchi Building, Gran Tokyo North Tower and Gran Tokyo South Tower. This selloff was made possible thanks to building regulation reforms instituted in 2000. Has the renovation yielded positive economic benefits? The impact is already being felt. Station traffic excluding commuters and bullet train riders jumped about 40 percent in the opening week compared with a year ago, suggesting numbers will grow if long-distance travelers are included, Kawada said. Sales at the nearby commercial complexes are up as well. From Oct. 1 to 8, sales at businesses in the Shin-Marunouchi Building rose 23.4 percent from a year ago while those at the Marunouchi Building rose by 14.9 percent, according to their owner, Mitsubishi Estate Co.
“The renewed station is having a very good effect on our sales,” said spokesman Ryuichiro Funo. In particular, sales at restaurants in the buildings logged 20 percent growth, with those with views of the station especially popular, he added. “Also, many of the visitors are middle-aged and senior couples,” Funo said.